Below you will find some of the real world testimonials our clients have provided us over the years. This will provide some insight into what you can expect from us. 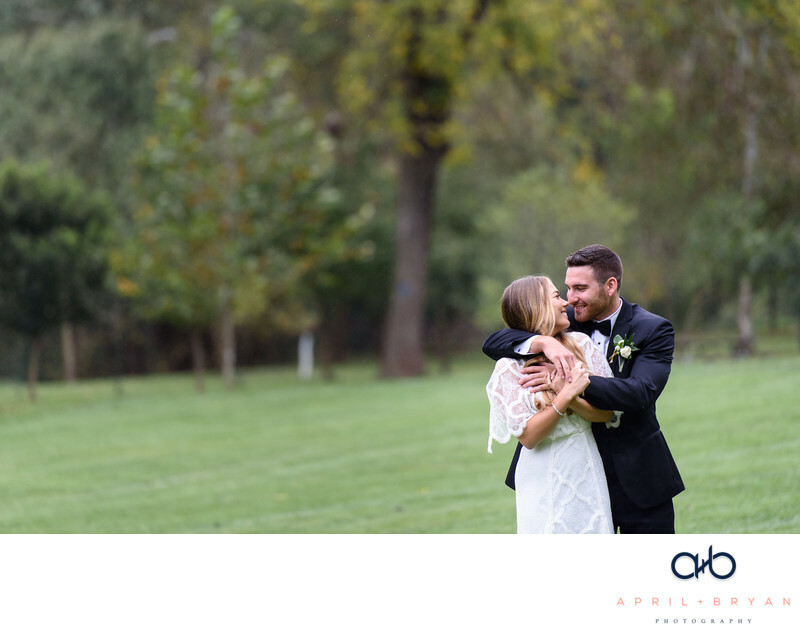 "We cannot say enough good things about April and Bryan, both as professional photographers and as people. From our initial consultation, we knew we were in good hands. April and Bryan are experts at their craft, and they have this innate (and invaluable) ability to capture the raw emotion of a moment, which is so important on your big day. Their chemistry and energy as a husband and wife photography team helped so much to put us at ease in front of the camera. They went above and beyond to make sure that every special moment was preserved, all the while taking care to remain “behind the scenes.” We had so much fun with them during our reveal and album design session, and our breath was taken away when we saw our wedding day images. They captured every smile, laugh, and tear so beautifully that it brought on fresh rounds of happy tears for my husband and I, and for the family and friends that we’ve excitedly shared the images with since. We feel as though we are reliving our wedding day each time we flip through our gallery. What is more, April and Bryan are both kind, funny, thoughtful, and genuine people, and getting to know them was a true privilege. Our shared love of all things Disney helped to form a quick bond, and by our wedding day, it felt as if we'd known them for years. We sincerely hope that our paths cross with them again in the future. 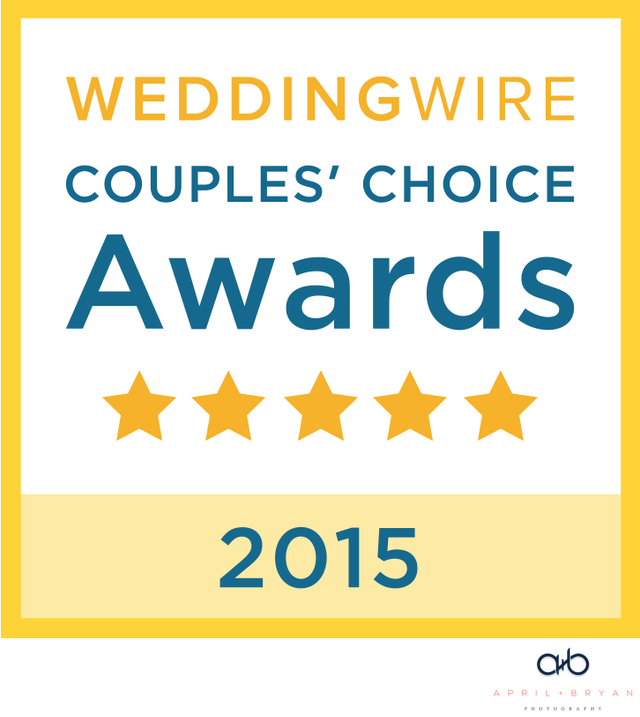 We recommend April and Bryan without reservation--you could not make a better choice!" "April & Bryan made us feel comfortable every step of the way. Quick to respond over email, text, and to get the final product over to us. They were patient with us to explain their process, contract, making sure all our specific requests were completed. They went out of their way to make every shot perfect! We’re so happy with our wedding album, it’s beautifully designed and well-made exterior will last forever. We also loved that April helped us to design the structure of the album and then we made edits. I think that if we had to put it together ourself, we would still be picking out the photos. We feel like we could not have made a better choice to work with April and Bryan on our wedding day." "Where to begin... April and Bryan were better than we could have ever hoped for. Every detail to the very last meeting with them was thoughtful and personal. Not only were they an absolute dream to work with the day of, but the photos we got of our wedding were honestly some of the most stunning pictures we’ve ever seen. Almost every person who has seen them has said they deserve to be in a magazine. We felt so comfortable all day, never stressed, because they made it such a flawless, and truly exciting, process. They made sure every important thing we had stressed was more than accomplished. They went above and beyond in every single way. You will be so glad you chose them for your special day. We’re so thankful we did." "I cannot say enough good things about working with April and Bryan! We felt so comfortable and excited after our first meeting and knew we wanted them to shoot our wedding right away. My husband and I are definitely both more awkward when it comes to standing in front of a camera but April and Bryan made us feel at ease. They really understood who we are and how we are together. I am so in love with our photos and the moments they captured! Aside from the great pictures, they were so helpful with planning the day/timeline, keeping everything on track, and even bustling my dress (and pinning it up after it was stepped on and ripped). I can’t imagine our day without somebody who offered such an overall high quality of service. After the wedding our pictures were back very quickly and April took the time to thoroughly review our album and help us edit it to make it perfect. From start to finish it was a great experience! I would absolutely recommend them to anybody looking for a photographer!" "April and Bryan are true professionals and great people who we now feel like we've known for a long time! We knew we were in good hands from the beginning. During our engagement photo shoot they made us feel so comfortable and Bryan even climbed a tree for us! They have a vision and they go for it while having fun along the way. At our wedding, April was like my own personal day-of coordinator. She and Bryan were there to make sure that every moment of the day was captured, ensure that we ate our hors d'oeuvres, and even helped to bustle my dress! They were organized and kept everyone on track. Their assistant was also amazing and helped to fluff my dress for every picture and made sure everything looked great while braving the mosquitoes outside! If the experience of working with them wasn't enough, we just got the proofs of our wedding day photos tonight and they are absolutely beautiful. We couldn't be happier that we chose April and Bryan to be our wedding day photographers! Thank you for everything, we truly appreciate it." "We interviewed a lot of wedding photographers and ended up choosing Bryan and April after doing a Skype meeting with them. They were the most genuine and thoughtful people and that truly showed in their work. We couldn’t be happier with the photos from our wedding. They take wonderful portraits but also have a unique perspective and offered something special and different at the same time. They let us be ourselves the entire day and we didn’t feel like we were being coached, but they did make recommendations that really helped enhance the pictures. We owe all of the great pictures to them and would absolutely book them again." "April and Bryan were true professionals. They delivered incredible pictures and were absolutely a joy to work with. They went above and beyond on our wedding day and we have photos that are so special and unique that we owe all to them. I would recommend them to anyone and would use them again in an instant for any more special events we would want pictures for. They are literally THE BEST. Choosing them as our photographer was one of the best decisions we made for the big day!" "Choosing April and Bryan was the best thing my wife and I did for our wedding day. They are a great time and make you feel really comfortable during a very overwhelming day. We really liked their engagement session before hand and they are open to listening to your ideas while adding in their own creativity. We got back our photos and they are great quality. April and Bryan constantly keep in touch and take you step by step through the process of the engagement session and your wedding day. I would highly recommend them to anyone looking for a photographer for their special day. April and Bryan are super flexible and are willing to work with you in whatever way you need." "April and Bryan are amazing - they are really fun, personable, and extremely professional. They are super hard working and will go to almost any length to get the best pictures (April actually got in a fountain at our wedding to capture the whole family in one shot!) The quality of their work and their equipment speaks for itself. Our family, friends, and even complete strangers have been so impressed by how amazing our pictures turned out. You will not regret including them in your special day!" "We had a wonderful experience with April and Bryan! They were amazing from start to end. They definitely went above and beyond for us on our wedding day and we are so appreciative of that. I can’t recommend them enough!" 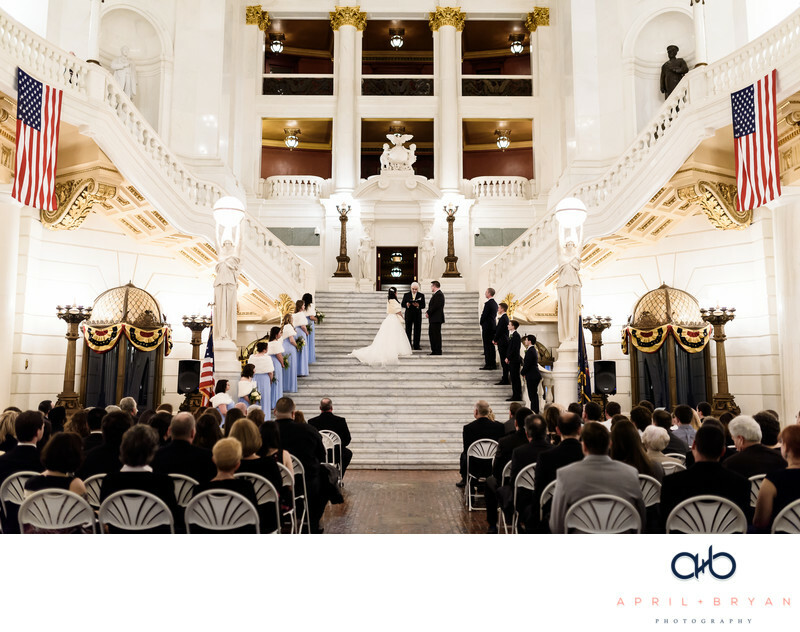 "April and Bryan photography went above and beyond on our wedding day. Pictures are something that are super important to me, so I looked a long time for my photographer. I am so happy I went with this husband and wife team. The pictures were amazing and they even traveled in the snow that happened on our wedding day. Don’t look any further for your wedding photographer... they are AWESOME!!!" "April & Bryan, as well as their daughter Elise make a PERFECT team! April goes above and beyond to make sure your wedding day is exactly how you want it. I couldn’t have asked for a better photographer!" "I am beyond happy that we chose April and Bryan to be our photographers for our wedding process!! They made my husband and I feel so comfortable, and we had a blast with them throughout engagements photo sessions, and the actual wedding itself. They both have a great vision for what we wanted and listened to what we envisioned. April made every step of creating our album so easy. We couldn’t be more happy with how our wedding album turned out. I would recommend April and Bryan 10/10 times! They are the BEST!" "From the beginning, my husband and I were extremely impressed with the professionalism exhibited by April and Bryan. What really stuck out to us was that April and Bryan took time to ask us about us as a couple, and didn't just jump into asking us what kinds of photos we wanted. That meant a lot to us, and I think our photos really showed that off! Our engagement shoot was a great time to get comfortable being in front of the camera with April and Bryan there. We had a great time, and April really knew how to describe accurately what positions she wanted us in. Our wedding day was perfect! They took lots of photos, and we were so happy with them. April did a great job also making sure the wedding day went as planned (she's almost like a wedding planner and a photographer in one!). April and Bryan also have their daughter help out from time to time, so you really get three photographers for the price of one! Cannot recommend April and Bryan highly enough - they were professional but felt like friends by the end of the engagement shoot. Great job"
"April and Bryan did a wonderful job photographing our wedding! The engagement session (included in the cost) turned out splendidly and gave us a great opportunity to meet and work with our photographers prior to our big day. It was great to have two photographers taking our pictures, including the simultaneous pictures we have of my wife walking down the aisle as I watched her process. Their daughter also assisted, and helped things go very smoothly at every turn. They managed to capture every moment during our wedding day, even some that others might have overlooked, like our phone call with a grandparent who wasn't able to make the wedding, and the mischief of the wedding party decorating our car. The action photos on the dance floor also turned out very well, and we were quite impressed with their flash equipment which kept all the photos looking sharp and crisp. Additionally, we have to complement their eye for creativity! April caught sight of an enormous cloud as we were taking pictures and positioned us to use it as a backdrop. I have to say, it's one of my favorite photos of the day! 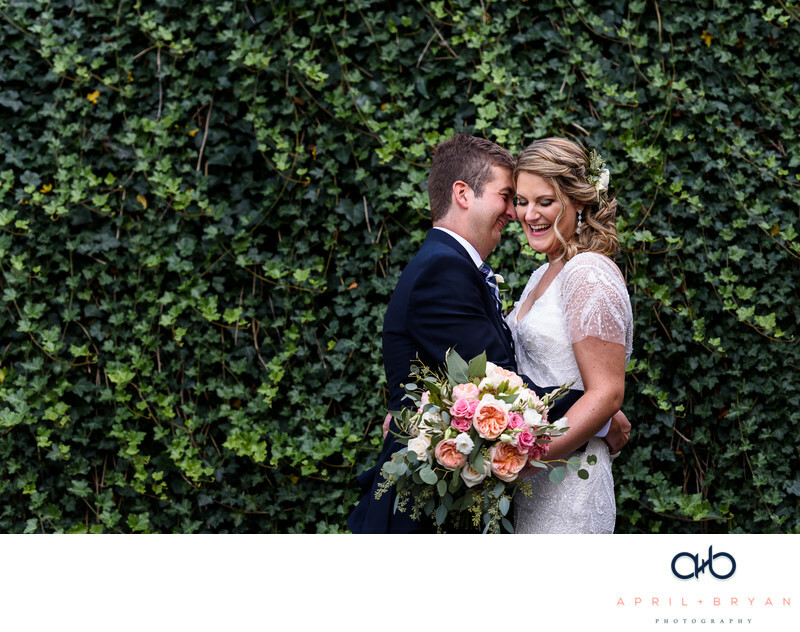 All in all, April and Bryan really wowed us with the quality of their work, their professionalism and help throughout the planning process, and the joy and exuberance with which they operated. And all this after returning from Italy the day before our wedding! They truly captured the beauty of our wedding day, and we're so happy we chose them to be a part of it!" "We had the pleasure of using April and Bryan's services for our engagement pictures, wedding pictures, and wedding album. Their vision and pictures are, of course, beautiful and I'm so happy to have such wonderful pictures and memories of our day--they're very talented! What I truly feel sets them apart, though, is the professionalism and care they took throughout the entire process. There's a lot of pressure and responsibility to capturing the moments of a couple's wedding day, and it's clear that April and Bryan take that very seriously. They patiently answered the millions of questions we had, were accommodating to our schedules, and were simultaneously structured and flexible on our wedding day. Even months after our wedding, April worked with me through detailed phone calls to ensure I was happy with the layout and editing of our wedding album, resulting in a truly beautiful and quality momento of our day. I didn't feel like just another client with April--she truly cares about those she's working with, and makes certain that she delivers quality work. I can highly and confidently recommend April and Bryan. 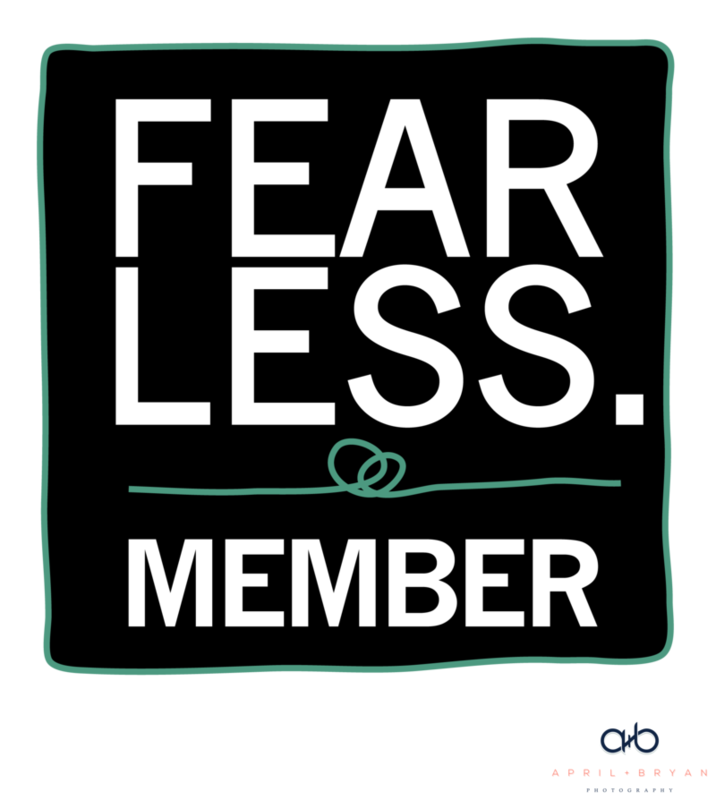 You won't regret putting your trust in them!" "April and Bryan were amazing to work with from our engagement photos to our actual wedding day. I was an out of state bride, and I first “met” April via Facetime, and after talking to her I knew her and Bryan were the perfect photographers for our wedding. My husband and I are not big picture people, and often feel uncomfortable in front of the camera. But April and Bryan made us both feel at ease and truly captured our wedding day perfectly. April remembered to capture specific photos I had asked for during our wedding, which I had completely forgotten about on our actual wedding day. We could not have asked for better photographers for one of the biggest days of our lives, and we will treasure our wedding pictures for years to come. I would highly recommend April and Bryan!" "April and Bryan are AMAZING. We were in the middle of moving during our wedding prep to over 4 hours away. April and Bryan Skyped with us to start and got to know us a little more. They also travelled to us to do our engagement shoot! They kept in touch throughout the time before our wedding. Once it came time to pick how and who we wanted pictures of and where they were both so helpful. April really wants to get the best shots and makes sure no one gets in the way of that. We loved working with them!! I will also mention that my wedding party was a bit dramatic and both April and Bryan were so patient. WE LOVE YOU GUYS. if I could give them 10 stars I would." 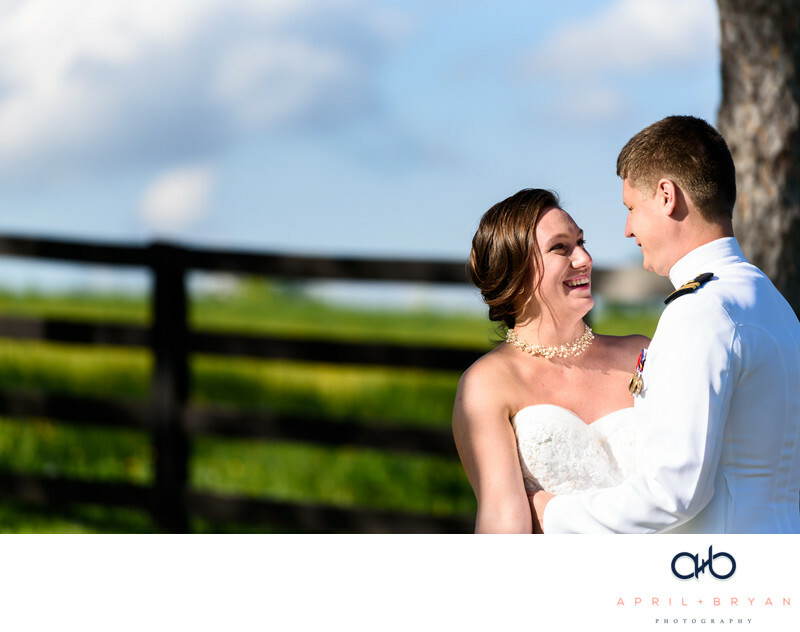 "April and Bryan are absolutely amazing to work with! Choosing a wedding photographer feels like such a big decision, but from our first conversation over Skype, we felt completely at ease and knew right away that we were going to be in good hands. They are such a down-to-earth couple and put so much time and care into making sure your vision for your wedding day comes to life through your photos. They worked side by side with us throughout the whole process, truly got to know us as a couple, and captured our personalities perfectly in both our engagement session and on our wedding day. They are always professional but by the end felt like good friends. Without a wedding planner, April was a life saver for me in the stressful weeks leading up to the wedding as a sounding board for questions and ideas, nailing down our timeline, and going over our shot list. She also is an expert at bustling dresses (a huge help when mine had issues!) and keeping everyone in line and on time - very much needed when you’re dealing with large group shots, and rowdy bridal parties ;) Even after the wedding they dedicated so much time to talk us through our wedding album and help make edits so it was exactly what we wanted. They truly go above and beyond, and you’ll end up loving all of the photos so much it’s impossible to pick favorites. We cannot say enough good things about them. Highly recommend to anyone looking for a wedding photography team!" 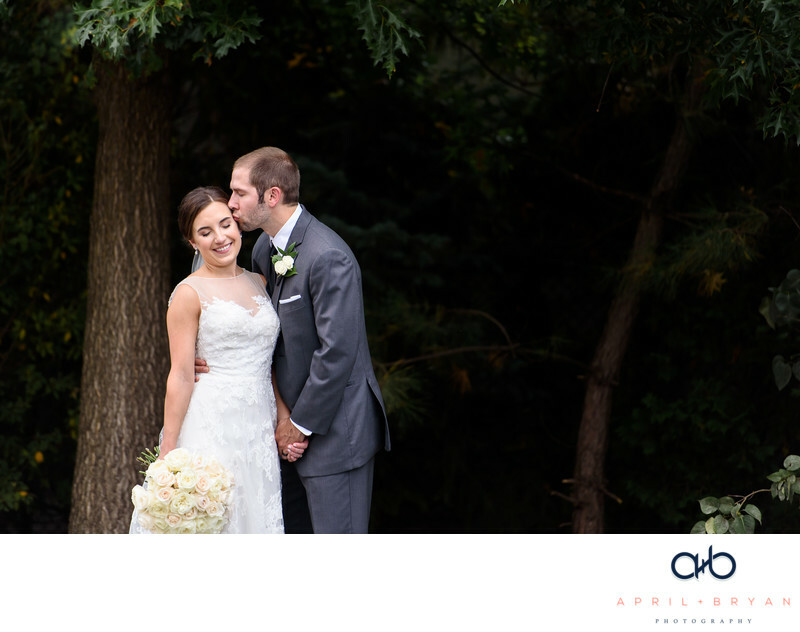 "April and Bryan were absolutely amazing on every level! We were a little uneasy about having our pictures taken but April and Bryan put us at ease immediately. They kept a fun, relaxed atmosphere for both our engagement session and the wedding photos. They guided us with their expertise throughout the entire process and ensured that we got all the photos we desired. They have an eye for finding beautiful backdrops and producing amazing photos. They even go above and beyond to make sure your day goes smoothly. Highly recommend!!" "April and Bryan were a such a blast to work with! They made our engagement session so much fun, and they made both my fiance and I feel very comfortable. They went above and beyond to capture the perfect images. I am so happy with our photographs and can't wait to see what they can capture during our wedding day. I would definitely recommend working with this amazing couple!" "I would give them 100 stars if I could! My husband and I booked April and Bryan for our wedding in gettysburg, pa on 7/1/17. I cannot begin to say how truly amazing our experience was from start to finish!! From the time we did our first consultation on video chat (we live far away and had a destination wedding), I knew they were a great match for us. Their work is absolutely stunning, professional, and creative. Having a destination wedding is stressful in itself and can be difficult with detail planning; however, they were very patient in working with us! Our engagement photos were breathtaking. They were extremely comfortable to work with and made us feel comfortable in front of the camera. On our wedding day, they captured all the special and candid moments with us and our guests. Their use of natural light is genius and artistic. All of our wedding photos were absolutely beautiful and we cannot be happier on choosing April and Bryan to document our special day. We loved all the photos so much that we cannot decide which ones to purchase for display in our home. The wedding day was a whirl wind and it was hard to be present for everything and/or remember everything. As we look through our photos, our special day and all its moments are relived. I am so excited to receive our wedding album when it comes in!!!! I am confident it will be gorgeous! I definitely recommend booking them to document any occasion!!!" These all begin to describe the amazing duo that is April & Bryan! Having worked as a wedding coordinator in Lancaster, I first met April & Bryan in a professional setting, and was SO IMPRESSED with their work and creativity that my husband and I booked them for our destination wedding in Costa Rica! April & Bryan traveled 4,000 miles to capture our wedding, and we’re TRULY glad they did. They’re organized, experienced, and a whole lot of fun. This makes for the perfect combination of a highly skilled photography team that isn't afraid to push outside the cookie cutter wedding images. Whether you are local or dreaming of a destination wedding, April & Bryan are the best team you can find. It is also worth noting their hidden talents, which include rescuing the bride and groom from high tide, surviving ant attacks, sloth spotters, and making you excited to be married, because after 16 years they’re still as playful and in love as ever. Thanks for making our wedding photographs look as magical and breathtaking as we felt that day!" "April and Bryan made our wedding even more special than we could ever imagine. Everything from engagement photos to the wedding itself was perfect and they made it so easy to work with them. They were more than professional and got a wide variety of pictures that not only captured the day but highlighted every area of the venue. They made sure we got all the photos that we wanted and then some. We absolutely would work with them again and would recommend them to anybody looking for a photographer." "April and Bryan recently did the photos for our wedding. They are an amazing team that will not let you down. They are skilled in their art and produce amazing quality photos. Their attention to detail sets them apart from others... their work speaks for its self. If you are looking to have a friendly relationship with your photographer who makes you feel confident the photos will be perfect and makes you feel comfortable and welcomed this is the company you are looking for." "April and Bryan documented our wedding in November 2016, and did our engagement session in October 2015. They were an absolute pleasure to work with and the photos from both times came out amazing! I couldn't imagine having anyone else photograph our special days!! They are a husband and wife couple that works together to get different views of the same photo opportunity. If you trust in their vision you surely won't be disappointed. With all the amazing photos that they have for us it makes it hard to decide which ones I want in our wedding album. Hands down I would recommend them for other and would use them again if I needed another session (maybe future maternity or future family session)!" "April and Bryan are the best photography team there is!!! I despise having my picture taken, but they made my now husband and I feel so at ease! They are very detail oriented, and I appreciated the fact that they wanted to have an introductory phone call to ask a bunch of questions I hadn't even thought of before our first meeting. On the day of our wedding, April had a list of every photograph I wanted to take and with whom and she knocked the list out like the pro she is! What I loved the most is that she gave us variety in our photos. We got to enjoy our reception, but then sneak out for 5 mins at a time to photograph in different lighting. I've gotten nothing but rave reviews from everyone who's seen their work! I'll definitely be using their services again, and I've already recommended them to all our family and friends!" "Absolutely the best photography duo around. Caring, sincere, attentive. They go WAY above and beyond simple photogapher duties, being helpful with grabbing a drink for the bride, calming the grooms nerves, and providing laughter throughout. They work so well together, it's seem less. They somehow know exactly what the other is thinking, and you'll see one nod at the other before jumping into action. Not only have they shot my engagement and wedding photos, they've done my pregnancy pictures (stunning) and my son's 3mo., 6mo., 9mo., and 12month/year photos. They are the BEST AROUND. Creative visionaries. True artists with a camera." "April and Bryan had worked tirelessly to preserve our most special day with their immaculate vision for our wedding photos. There are not enough words to express our most sincere gratitude for their meticulous and well thought out approach to capture our most intimate day as a couple!" "My daughter was married over Labor Day weekend, and we were so fortunate to have April and Bryan as our photographer. They are friendly, efficient and unobtrusive. Of course we knew they were documenting the day, but they were so subtle, I barely registered that they were there. Then we saw the photos. They captured everything, and the photos are extraordinary! We all looked beautiful and relaxed - something that rarely happens in our family :) I highly recommend them!" 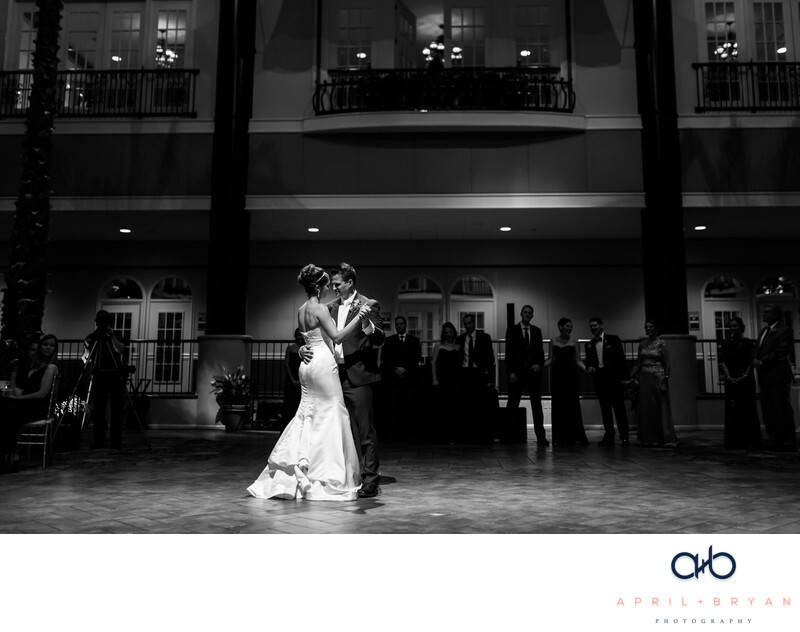 "April and Bryan Photography was one of the best choices I made during my wedding process. Leading up to the wedding, they make sure to plan out every detail and even give some helpful pointers. On the day of the wedding, I look to April for my guidance. They made the overall experience stress free and enjoyable. And last but not least they take amazing pictures and catch moments you wouldn't even think of." "Awesome photography team and awesome vision. April & Bryan were a pleasure to work with especially since we're such a laid back couple we really didn't have any suggestions or direction to point them in but they rolled with it and were very patient with us. Our pictures are breathtaking and we're VERY happy with the end result. We already referred them out to our friends and family for other occasions; newborn and family photos!" "Words can't describe how grateful we are to April & Bryan for photographing our engagement session and our wedding day. From the moment we first spoke to them to the time they left on our wedding day, it was all above any expectation I ever had. Our wedding day was incredibly hectic (as to be expected) and we were running incredibly behind schedule. April was with all the girls and Bryan was with all the guys. April did literally everything in her power (and more!) to calm my stress and take care of every need I had. Both April & Bryan helped with making the day go as smooth as possible which was so helpful. For our pictures they made us feel so comfortable and honestly I forgot they were even there sometimes, that's how natural and easy they were to work with. Then when we got our wedding photos back .... OH MY GOSH!!!!! I was speechless when I saw the pictures. Out of this world and incredible quality. Not to mention they gave us sneak peak photos within in a week and our final photos came within a month!! My husband and I HIGHLY recommend April & Bryan Photography for any photo needs!! Thank you so, so much to April & Bryan for making our experience so flawless and wonderful!" "April and Bryan are fantastic photographers. They captured every detail of our wedding and we couldn't be happier with our photos. They are very organized and created a helpful timeline for photos throughout the day. They paid attention to detail and very extremely creative when selecting backgrounds and poses. April and Bryan also post your event to their blog the following week. This gives you and your family and friends the opportunity to see many photos sooner than what most photographers do. Overall we had an amazing experience with April and Bryan. 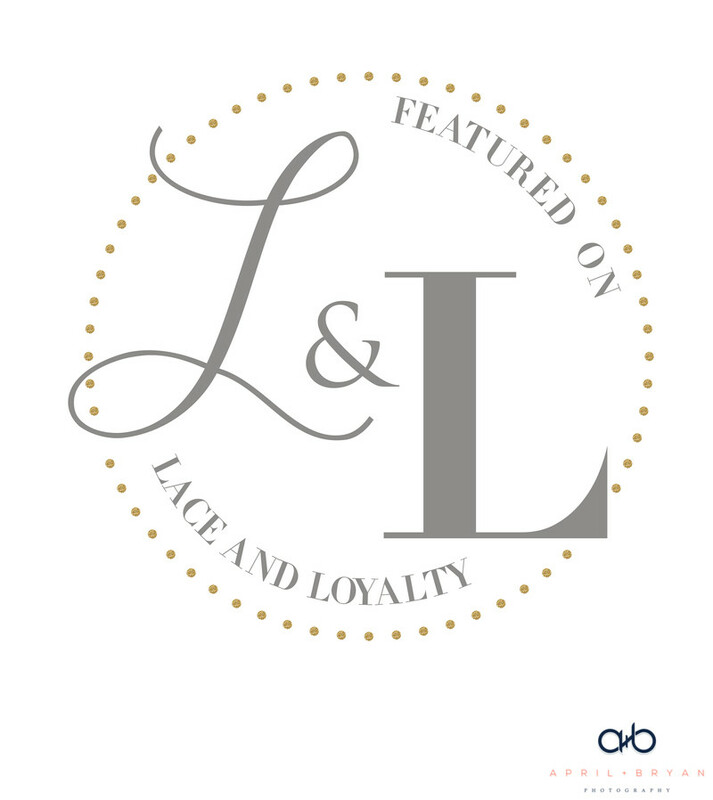 I highly recommend their services!" "April and Bryan are an amazing couple to work with! I knew during our consultation that they were the perfect fit for our wedding photographers. We had so much fun doing the engagement shoot and it helped us get to know April and Bryan before the wedding. We love how they are a married couple and have their daughter assisting them to make it a family affair. On the day of the wedding April was able to capture the special moments and she literally went down my photo list and checked off the pictures I wanted to make sure she didn't miss any. I absolutely loved her blog post of my wedding and can't wait to see the rest of the wedding pictures!" "I cannot say enough nice things about April and Bryan! They were absolutely amazing to work with. Right after our very first meeting, I immediately told my (now) husband that I wanted to book them! They are both so down to earth and just genuinely nice people. From changing the day and time of our engagement shoot to avoid thunderstorms to giving us their professional opinions while keeping in mind my vision for the photos, they were simply amazing. They make you feel incredibly comfortable and work with you so you're having fun throughout the whole journey. My husband and I have already discussed asking them to document some of our future life events! I would recommend them to anyone!" "If I could give 10 stars, I would. From our very first phone conversation, I knew April and Bryan had to be our photographers for our wedding. Our wedding was split between 2 days, 3 venues, and I am a very detail oriented person. The week leading up to our wedding, it just poured and our rain plan fell through so we were looking for a new ceremony venue just a few days before. April & Bryan rolled with the punches, got stunning photos, and we had a ton of fun with them. What we loved about them, is how focused they are on details, and the details we wanted. April literally had a checklist of every shot we wanted. At no point did we feel like they were in the way or taking away from any special moment. During the entire weekend, my now husband and I kept saying to each other how we couldn't imagine our wedding without them. They are a top notch team, and we can't wait to do more portraits with them when we move back to the east coast. They were also amazzzzing with our furbaby and getting pictures of her." "We loved working with April and Bryan. They are professional but down to earth. They made us feel very comfortable. We would work with them again in a heartbeat. My brother and soon to be sister in law are planning to book them for their wedding in 2017. We are so happy with our pictures and so happy we went with April and Bryan!!" "April and Bryan are AMAZING!!! Our photos are beautiful, and they are great people to work with. We first met over Skype, which was fantastic because it was much easier to find a time that worked for us. They did our engagement shoot and helped us spot the perfect places in downtown Harrisburg to get the urban shoot we wanted! One of the things that drew us to April & Bryan was their great understanding of lighting and they definitely did not let us down - April always had us at the right angle to perfectly capture the scene. On our wedding day, they also helped us manage our schedule and keep everything on track. Not only were they snapping all of our portrait shots, but they were continually shooting to help us capture all our candid small moments throughout the day, from getting ready shots of the whole bridal party, to small details of our outfits, to many photos of our guests enjoying themselves at our reception. I love their photojournalistic style and am so happy to have those little moments just as beautifully captured as our posed photos. All of our wedding photos are amazing and we could not be more thrilled with how they turned out! In addition to being amazing photographers, April and Bryan are extremely professional and overall just wonderful people. April always responded quickly to any questions we had, and was available to chat over the phone or Skype if we needed to work out details. They also got our photos back to us quickly after the wedding. They posted a few teaser pictures very shortly after, then a blog post featuring our day, then a beautiful package all our final shots, thank you note, and some of their favorite prints. We could not be happier with our choice to book April and Bryan - and we have already recommended them to our friends, who will be using them for their wedding this fall!" "April and Bryan were wonderful to work with for both our wedding and engagement! They are excellent at capturing real candid moments and real emotion! They have an eye for artistic lighting and balance within the photos and left us breathless with some of the images that they captured! In addition, they were so flexible! They were willing to change to work with an every changing schedule for both our engagement pictures and especially for our wedding in order to capture all the photos with the best lightly while dealing with all of the unforeseen delays that can pop up last minute. Both April and Bryan were also so helpful! April put in both my veil (and after that was removed, my floral hairpiece) and also helped to button up the many buttons on the back of my dress. They are fantastic!" "From the moment I reached out to April & Bryan I could feel how passionate and professional they were. The questions they asked made us realize just how little we knew about wedding photography and that we could trust them to do a dynamite job. Well, my now husband and I decided to elope before our big celebration and even with a weeks heads up they set up a time to meet us to shoot our ceremony instead of doing an engagement session. The photos are Pinterest quality and we could not be happier. Thank you guys again! Can't wait to see the photos come October!" "When planning for our wedding my husband didn't care about much of it, but we agreed that finding a photographer would be one of the most important tasks. We heard from so many people that the wedding goes in the blink of an eye so find someone to capture all of those moments that we missed. We met with April and Bryan shortly after sending out an email asking if they were available for our date, and by about 5 minutes in to the meeting we knew that this was the duo we wanted for our big day! They made us feel so comfortable during our engagement shoot, even during those awkward poses. When the wedding day arrived we were so excited to see them again and have them capture all of those little moments that we were too busy to see. We got our blog feature posted less than a week later and it evoked so many different emotions. April and Bryan have a true passion for this and it shows in every photograph. Thank you both from the bottom of our hearts!" "April and Bryan were amazing to work with and were so easy going. They were professional and passionate about capturing the perfect picture every time! They took so many great moments of our wedding and took some unbelievable and unique photos. we were concerned that taking engagement photos would be awkward but April and Bryan were a great team that put us at ease! They even played with our wet muddy best dog during the engagement photos! I would highly recommend April and Bryan to anyone that is looking for a special moment captured." "April and Bryan were amazing!!!! I knew from the first time that I spoke with April on the phone that she was who I was going to want to do my photos. She was so sweet and personal! They just recently did our engagement photos and they came out amazing, and the whole family keeps going on and on about who good they are. We truly can't wait for them to perform at our wedding." "April and Bryan were our photographers for our September 2015 wedding. They were amazing! They took such good care of us and produced such beautiful and creative photos. We couldn't have asked for anything better. We really appreciate their skills and expertise. Everyone from our wedding commented on how wonderful this husband and wife pair is. April and Bryan are the whole package and I would 100% recommend them to anyone. For any future photography needs, April and Bryan will be our go to! Thank you April and Bryan!" "There are good photographers and there are great photographers. And then there are Artists like April and Bryan. Each picture is beautifully composed, intimate, timeless and full of our own personalities. They are discrete yet thorough, kind and listen well. We loved how they captured the life of our wedding." "For the last month I've been trying to think of something as fun and witty as April's blog, or express how great this couple is, but I can't. All I can say is that the photos come out so spectacular because we felt like we were spending a special day with special friends who just happened to have cameras! Being that at ease, made the day, and photos, amazing! So much so, April and Bryan are doing 2 weddings in less than 6 months for our family. So glad I found them....thank you both so much!!!!" "My wife and I could not have been happier with choosing April and Bryan as our photographers for our wedding. They helped make every step in the process as fun and stress free as possible. During our engagement shoot, they perfectly captured our personalities. They even went in the creek so they could get the perfect shot. True dedication! The pictures they took during the engagement shoot and the wedding look so natural that sometimes we forgot they were taking pictures. They provided just the right amount of direction. What makes April and Bryan special as a photography team is they were able to capture both stories of my wife and I before the ceremony. Since we did not see each other before the ceremony it was nice to see the pictures of how happy and excited each other was getting ready. From the ceremony, the formal portraits and all the fun dancing pictures, April and Bryan were able to perfectly capture every amazing moment of the wedding. If you want proof just look at the photos on their website." "April and Bryan were so great! We couldn't be happier. April accommodated our initial request for a Skype interview, since we were far away, and they came to us for our engagement shoot at no extra cost, despite sitting in traffic on 76! The engagement shoot had to be rescheduled due to weather, but that was not trouble for them at all. Turnaround for the engagement pictures was less than two weeks! We had a call about a week before the wedding to get all of the last-minute details in order, which was so helpful. The day of the wedding, photos went so smoothly. April and Bryan were both everywhere and out of sight all at once, capturing not just the essential shots but also great candids when no one was looking. We've only seen the blog post of our wedding so far, but April also accommodated my request for a non-watermarked photo to use in thank you cards while we were waiting for the full wedding gallery. April and Bryan, thank you both SO much for your services! Tony and I appreciated your thoughtfulness, attention to detail, and artistic eye more than we can say. Very highly recommended, and I hope we can find a reason to use them again in the future!" "Glimpse in Time Photography did an absolutely fantastic job documenting our wedding day! They were on time, easy to work with, and really listened to our specific wants and needs. They did a wonderful job capturing every element of the day. I would highly recommend using their services for any event needing a photographer. I can't say enough about the work of April & Brian- they are great!" "We couldn't be more happy with the work from Glimpse in Time Photography. The pictures are stunning. They captured every perfect moment from our wedding and I couldn't ask for more. I was a little bit of a crazy bride when it came to pictures but April knew what to say or do to make sure everything was perfect. (No joke, I emailed her over 100 times.) They have such a great vision that really helped bring everything together. We would just be walking and we would come upon a spot that they saw was perfect for pictures. April and Bryan have great personalities that make them easy to work with. Not only were they my photographers, but they even helped be wedding coordinators! April helped give directions to the trolley driver while Bryan kept our guests updated with our ETA. I honestly don't know what I would have done without them on our Big Day. They helped make the day easier for me, and for that I am so grateful. Plus, the pictures are INCREDIBLE! Thank you Glimpse in Time Photography!..." "Glimpse in Time Photography did an absolutely amazing job! I would highly recommend using their services! They were very professional and they spend extra time making sure that the lighting and angles were perfect. They also catered to any special requests and traveled two hours to accommodate our wedding location. My husband hates having his picture taken, and they managed to make him feel totally at ease and comfortable- which resulted in wonderful photographs we can treasure for many years to come! It was also especially nice to have a preview of pictures to share with friends and family just a few short days after the wedding! They captured our wedding beautifully! We couldn't have asked for better photographers or photographs." "From the minute we first spoke with April and Bryan there was an overall feeling of comfort, like we knew we were in good hands. From our initial engagement session to the last dance of our reception, they took their time getting to know us,our style and what we wanted most out of our photos. They wanted to make sure they highlighted what was unique about us and our day. I never felt pushed or pressured to get a certain pose or shot, and the end product came out absolutely stunning. They were both extremely communicative and accomodating to whatever came our way. They were respectful of our shot list and also provided creative ways to capture our day which we never would have even thought of. We are honored to have had them as our photographers." "April and Brian were the number one best choice out of everything I had to plan for in my wedding! From the very first day that my husband and I met with them, they were professional, willing to work with our budget and showed great interest in our needs. On the day of our wedding, they were prompt and prepared – I never felt rushed OR like I was waiting around. During the ceremony, I never heard or saw them but they got a huge variety of shots at different angles! At the reception they were everywhere! I never had to pop into a photo op and wonder if they would be nearby – one of them was ready every time! Our pictures turned out beautifully and with a very short turnaround time of about a month and a half – there was also a first look shot up the next day and a blog within the following week! I would enthusiastically recommend Glimpse in Time photography without any hesitation! Thank you, A & B!!!!!" "My husband and I are very happy with using Glimpse In Time for our wedding. It is a husband and wife team so it was great having two photographers and they are EXTREMELY nice. I tend to be camera shy, but they are very outgoing and it helped make me more comfortable. We did the engagement shoot, which I would recommend, as we got a chance to work with them and get to know them better, beyond just the consultation. The day of the wedding went smoothly and it felt like a friend was taking our pictures. We would definitely recommend them to anyone!" "I was a nervous wreck when it came to planning my wedding. We were limited on time and funds. Glimpse In Time Photography worked with me so I could still get what pictures I wanted without going over my budget. They even suggested certain pictures we might want and poses that would look great! I was very pleased to have them do my wedding photos and I recommend there services to all my friends who are planning on getting married or just for getting special occasion photos done. They really made our special day go by with no complications and with ease. I didn't have to think about what I wanted done because they were already in tune with my wants and photo desires. Glimpse In Time Photography is full of wonderful family friendly photographers, who could ask for more?! Thank you for making our wedding spectacular, the pictures turned out amazing!!" 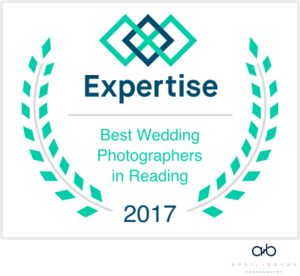 "My husband and I would definitely recommend Glimpse in Time Photography to anyone searching for a wedding photographer. I researched several photographers and did not find any with a comparable package. 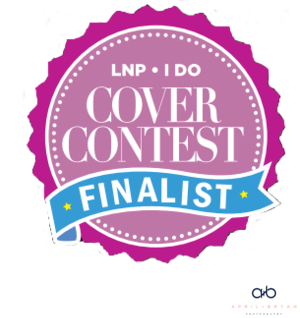 We are so happy with our choice! April and Bryan were both professional and fun to work with. They got all of the shots we wanted, in addition to the many others they suggested, and they all turned out beautifully! We are so pleased with our photos and will be using them for our photography needs in the years to come!" "Glimpse In Time Photography really helped to make our wedding day unforgettable! April and Bryan are an amazing team, and were extremely accommodating. Not only did they take beautiful photos at the church and reception, but they also came with our wedding party to two other locations. They really have an eye for what would make a great picture, and we couldn't be more pleased with our photos! I had a checklist of all the photos that I wanted from getting ready earlier in the day to leaving the reception at the end of the night, and April and Bryan got them all. April will get back to you in a very timely manner as well. This put me at ease during the stressful planning days! You can't go wrong with this duo team, and I would recommend them to anybody who is planning an event and wants awesome pictures to remember it by! Oh, and how can I forget the fact that their prices are so reasonable. I did a lot of shopping around, and you really can't beat the prices that they offer!" "My Husband and I used Glimpse in Time Photography just a few weeks ago for our wedding and they were just PERFECT! I loved working with them every step of the way. They were completely accommodating and very professional. They arrived early to our wedding and they had a game plan in mind, which really helped because we didn't! They were so creative but they were open to taking whatever pictures we wanted also. And the best part…our wedding pictures are already posted online for us to look at! The turn around time is amazing! We are definitely recommending Glimpse in Time to everyone we know!" "These photographers were a husband and wife! They did more than amazing! I loved them! They worked with my husband and myself and were very fun and creative. I studied photography so they exceeded my wants and needs!" "I just used April to do a “Rock the dress" session after my wedding. Wow, what a fun time!! She came out to my farm and took some amazing shots of me in my dress with my horses and husband. She really captured the relationship I have with my horses and these photos will be treasured. We had a blast trying to get some unique shots. I only wish she was able to get some candid photos of me when my horse tried to run off with me in my dress as I mounted. I can only imagine how comical that would have looked! (Just kidding, I'm glad I don't have photo evidence of that fiasco, lol!) Thanks a ton!!" "My wife and I hired Glimpse in Time Photography to photograph our wedding last fall and we could not have been more pleased with the results! Their professionalism and attention to detail during the planning stages far surpassed that of the other photographers we had met with. During the setup, ceremony, and reception they were everywhere they needed to be to catch great candid shots and entirely without being intrusive or overbearing. For the posed shots they were highly efficient and organized in capturing the moments and setups we were interested in and in the best light, without overusing the flash. I'm just an amateur photographer, but I can appreciate the professional level of skill and eye for detail that they brought to every shot. 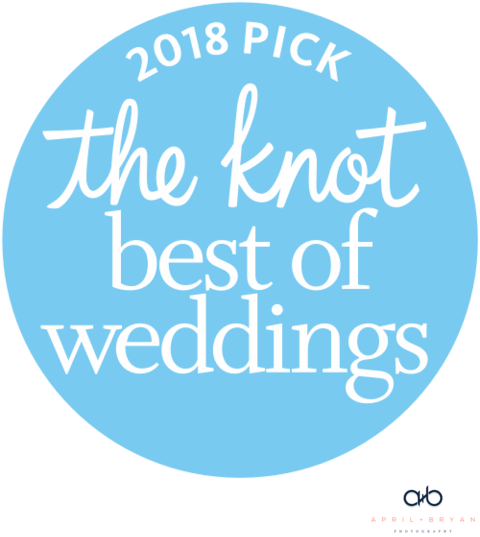 The quality of service and finished product deserve a glowing testimonial from my wife and I, and we would not hesitate to recommend them to anyone planning a wedding!" 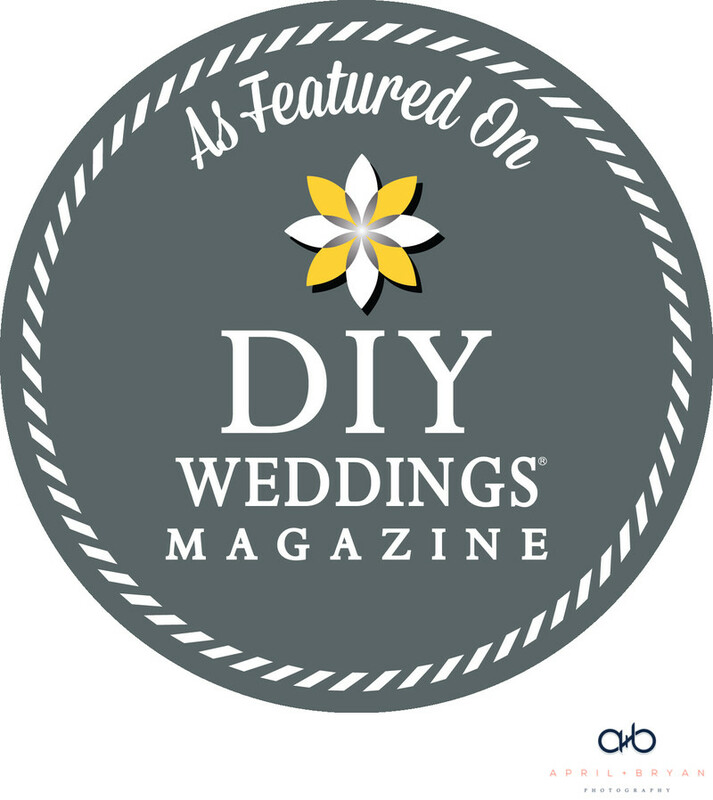 The Knot, WeddingWire, and on our Google+ business page.